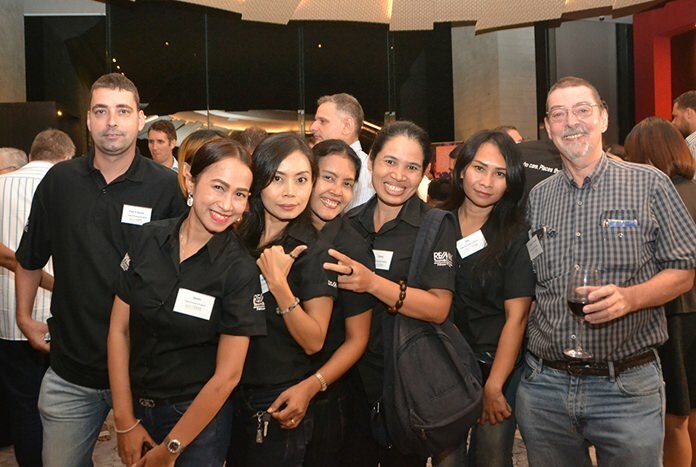 The British Chamber of Commerce Thailand hosted the monthly multi-chamber event for April and took something of a chance by choosing a venue a bit out of town. Sponsors (L to R) KC Cuijpers, Managing Partner, Re/Max Town & Country, Marc Sittl, GM Mövenpick Hotel Pattaya, Porntip Utsahaphan, International Marketing Manager of Samitivej Hospital, Chris Thatcher, Vice Chairman BCCT, Paul Scales, President Irish – Thai Chamber, Ragil Ratnam, Chairman South African – Thai Chamber, Joanna Kearney, Director of Admission & Marketing for Regents School International Pattaya, Simon Matthews, Chairman BCCT, Mark Bowling, BCCT Director, Brendan Cunningham, Executive Director AustCham, and Kiatchai Kittitirakorn, Wall Street English. 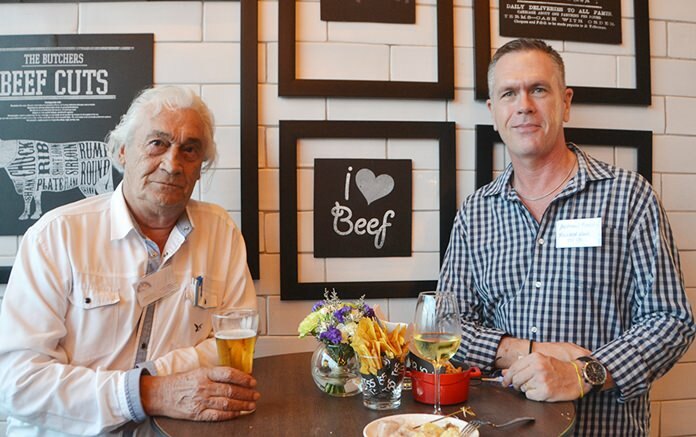 Yet it was a gamble that paid off with more than 100 people turning up at the T55 New York Grill Room at the Mövenpick Siam Hotel, near the Ocean Marina Yacht Club in Sattahip’s Najomtien Sub-district. 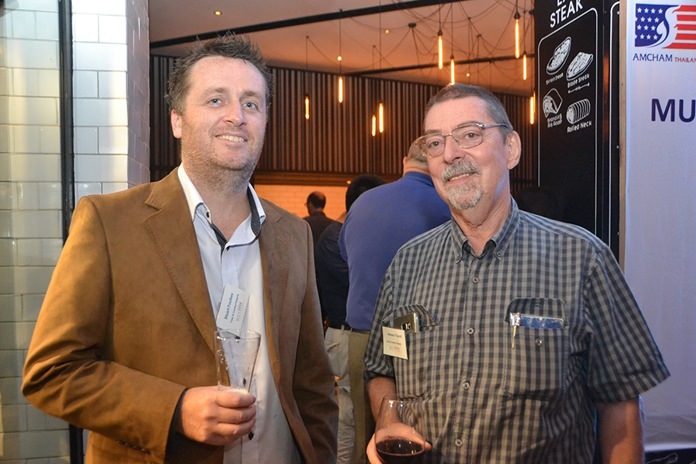 It turns out it wasn’t such a reach after all, as the German chamber had hosted a networking event at the same location a month earlier. T55 was inspired by New York’s famed meatpacking district and recreates the Big Apple’s hipster vibe without being pretentious. As a homage to the district, aged prime cuts are laid out in chilled glass boxes in the butcher room for guests to choose and have chefs prepare. Stuart Foulkes, Town & Country Property, and Herman V Gucht. 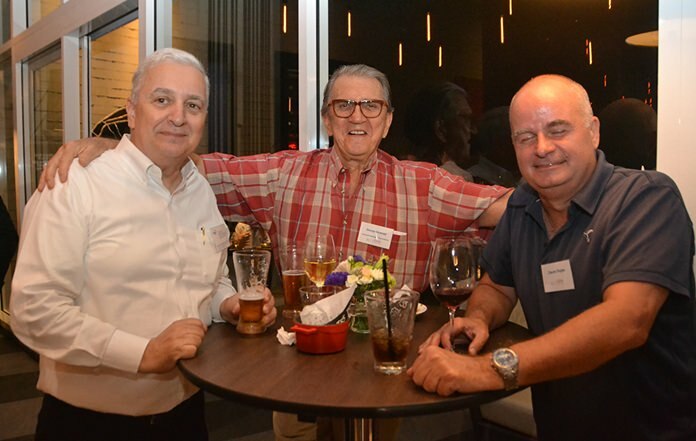 The networking was spread over three adjoining areas: registration, beverages and an extensive buffet that included a wide variety of hors d’oeuvres, freshly cooked meats, and potatoes and vegetables. 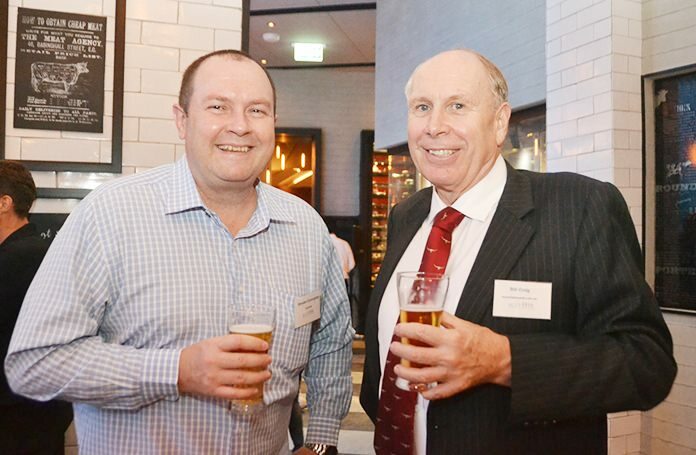 The staff perambulated the room, ensuring glasses were refilled, allowing the guests to focus on meeting new business contacts and reuniting with friends and colleagues. 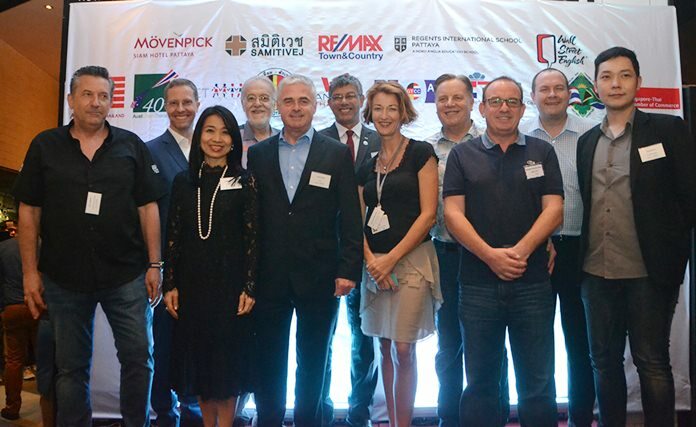 The sponsors for the event included Mövenpick Siam Hotel Pattaya, Samitivej Hospitals, RE/MAX Town & Country, Regents International School and Wall Street English schools. 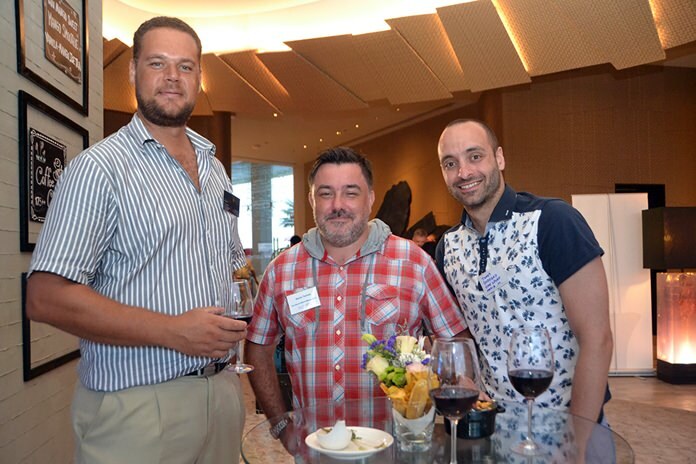 In addition to representatives from the sponsors, the event attracted a large number of professionals from the Eastern Seaboard in real estate, media, automotive, logistics, health insurance, Rotary and members from other chambers of commerce. 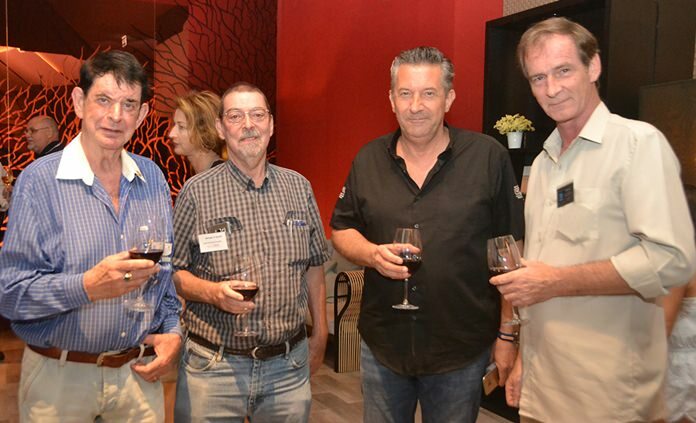 The next multi-chamber event will be held at the Avani Pattaya Resort & Spa May 19 at 6 p.m.
Regil Ratnam from SATCC, Pasit Foobunma, director and webmaster at SATCC, and Steve Devereux. 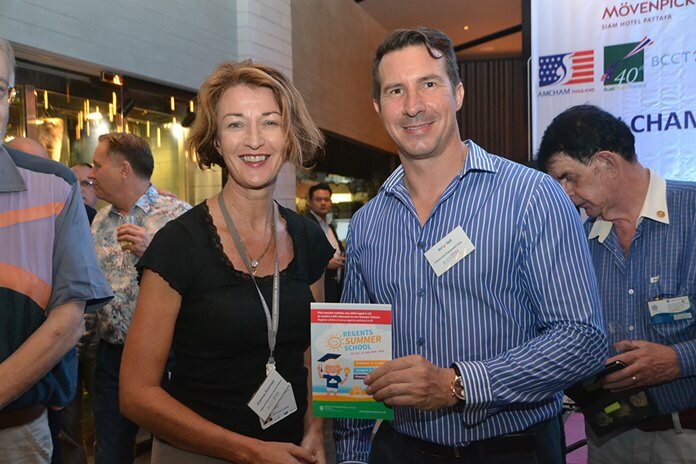 Joanna Kearney from Regents International School presents Andy Hall from CEA Project Logistics with a lucky draw prize. 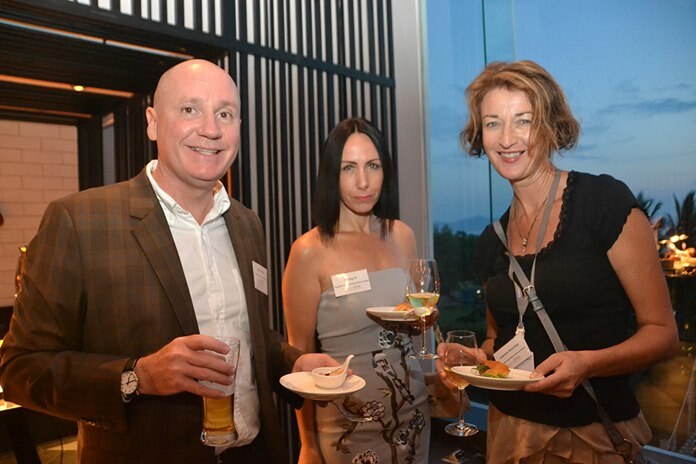 Grant Gillies, Kirsty P. and Joanna Kearney from Regents International school Pattaya. 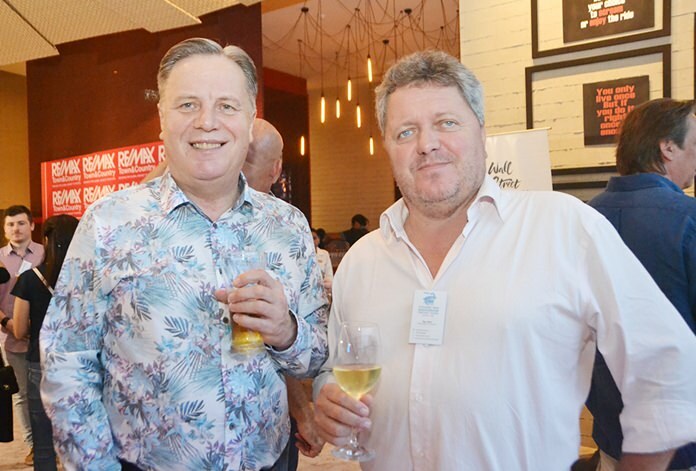 (L to R) Bernard Lamprecht, General Manager of Backri Cono shipyard, Kevin Tarrant, and James Goddard from One Sport & Media Management. 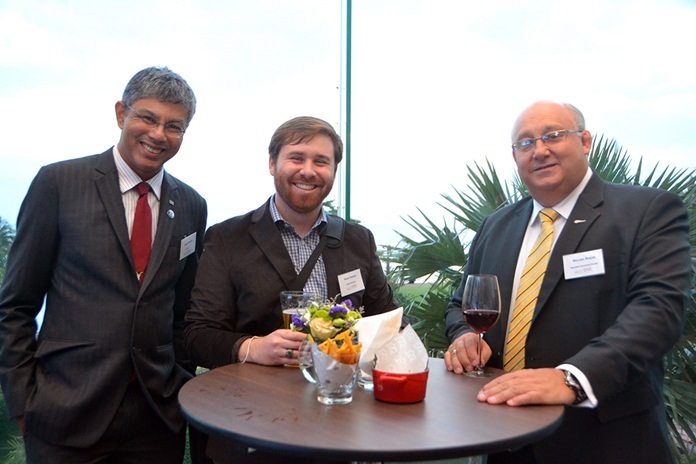 (L to R) Regil Ratnam from the South African Chamber of Commerce, Brent Gladney, Allied Pickfords, and Warren Boyes, Macallan Insurance Broker. 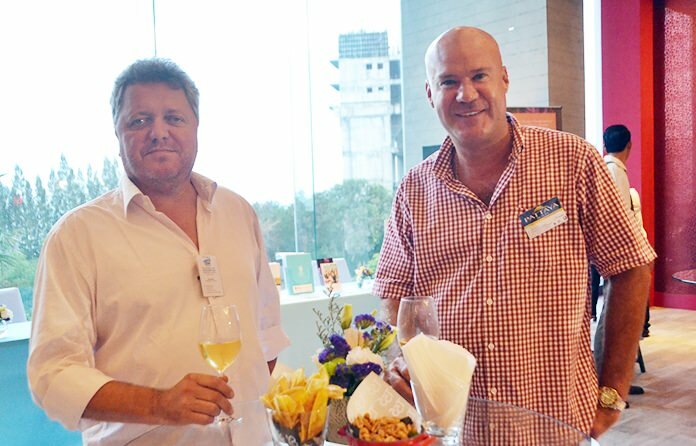 Ray Matti, Public Relations Consultant of Chiang Mai international cricket sixes, and Stuart Daly, Managing Director of Pattaya Realty. Martin Van Bree chats with Adrian Berry. 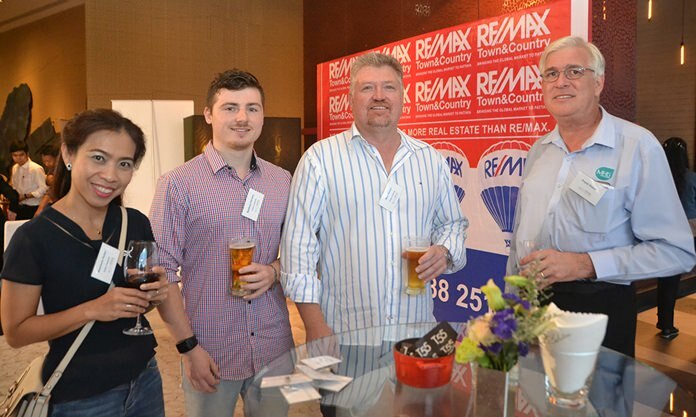 The Pattaya Realty team consisting of Managing Director Stuart Daly and Nick Creasey. David R. Nardone, President and CEO of the Hemaraj Land and Development Company Limited, and George Strampp, Automotive Manufacturing Solutions of BCCT. 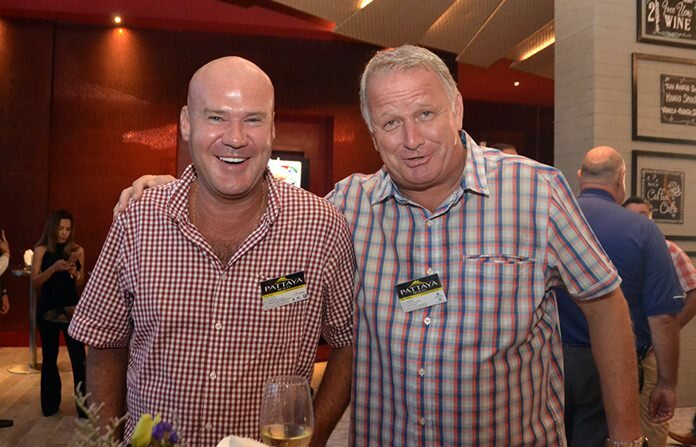 Simon Matthews, Manpower, and Ray Matti, Public Relations Consultant of Chang Mai international Cricket Sixes. Brendan Cunningham and Bill Craig. Town & Country Property Company’s team. 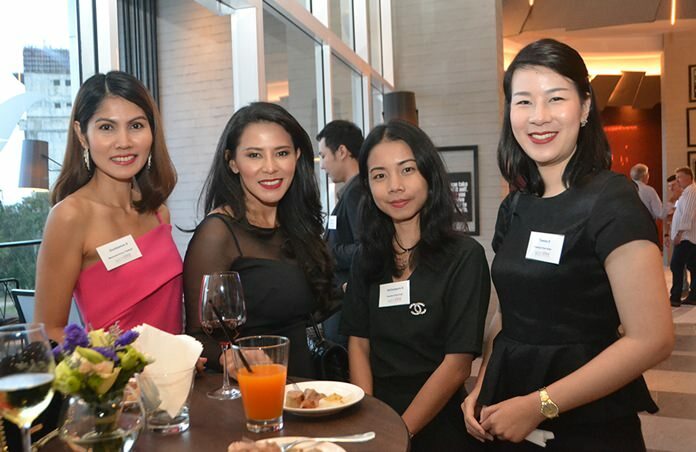 Many beautiful female professionals also attended the event. 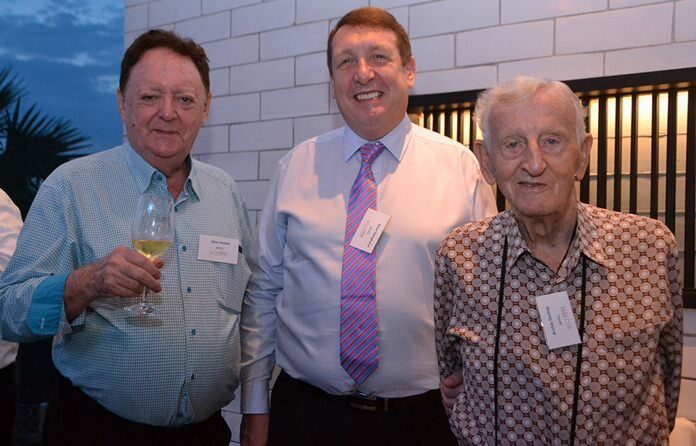 Allan Riddell, Consultant to the board at SATCC, Brian Songhurst and Archie Dunlop, South African Chamber of Commerce. 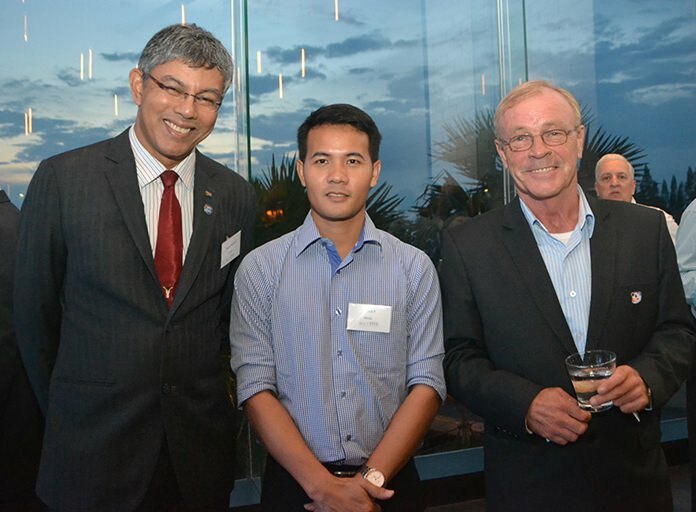 (L to R) Watcharin Holzer from Tinfish Thailand, Matthew Hansen, Mike Hansen, and Frank Holzer, Executive General Manager of MHG Thailand Co., Ltd.
Dr William van Ewijk, Herman van Gucht, KC Cuijpers, Managing Partner Re/Max – Town & Country, and Tom Robson Fabulous 103. 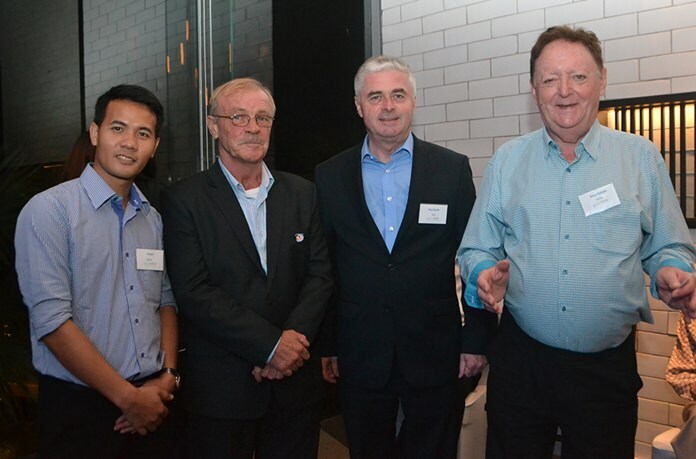 Pasit Foobunma, director and webmaster at SATCC, Steve Devereux, Paul Scales, President Irish – Thai Chamber, and Allan Riddell, Consultant to the Board at SATCC. 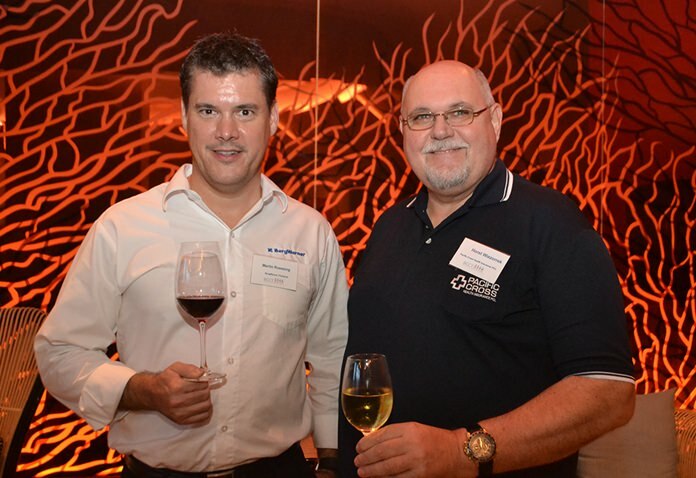 Martin Roessing, BorgWarner Thailand, and Horst Wiezorrek, Pacific Cross Health Insurance PCL. 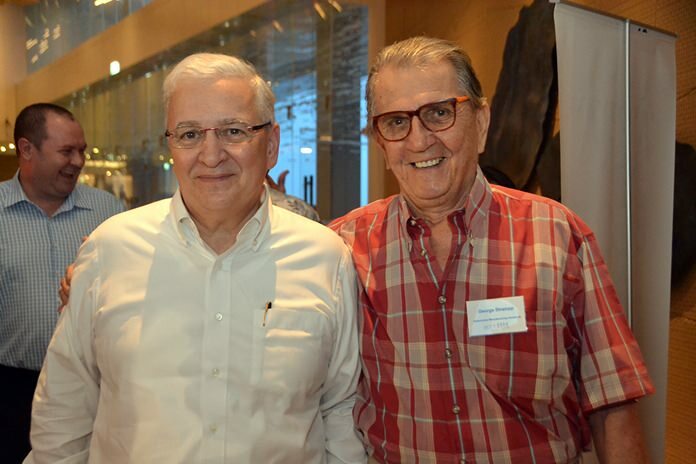 David R. Nardone, President and CEO of the Hemaraj Land and Development Company Limited, George Strampp and Claude Dugas. 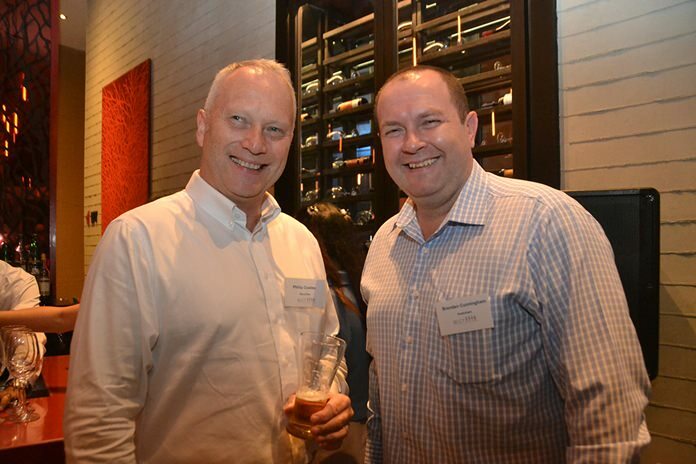 Philip Coates from BeLuThai and Brendan Cunningham from AustCham. 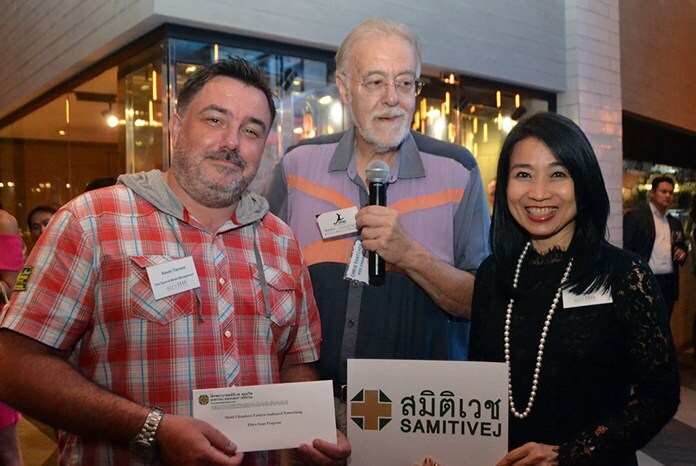 Kevin Tarrant, One Sport & Media receives his lucky draw prize from Porntip Utsahaphan, International Marketing Manager at Samitivej Hospital as Chris Thatcher, Vice Chairman of BCCT looks on. 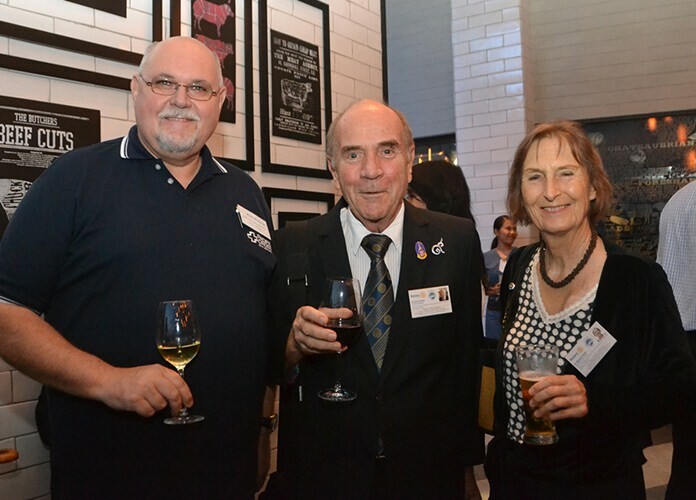 Horst Wiezorrek, Pacific Cross Health Insurance PCL, Dr. Otmar and Margret Deter, Rotary E-Club Dolphin Pattaya International.